Superior Fastening is constantly engaging in new technologies and the fastener division is equipped with approximately 200 up-to-date cold-forming machines. We have invested millions of dollars in new heading and threading capabilities to upgrade our efficiency and increase our capacity. The current production capacity is around 500 million fasteners per month or 6 billion pieces per year. 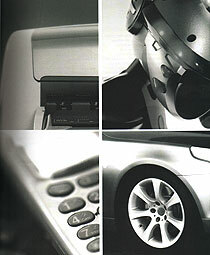 The applications for fasteners are incredibly varied and encompass a wide range of consumer groups. Whilst fasteners are one of the most basic components in the majority of mechanical, electrical and electronic products, they are obviously vital and, of course, demand is continually growing, especially in line with the world’s burgeoning economies such as those in Asia. Uses for these end-products spread across the entire range of end users in the household commercial and industrial sectors. Underscoring our belief in engaging our customers through operational excellence and leading-edge technology, Superior Fastening Technology specialises in the manufacture of a wide range of high quality metallic fasteners with surface and heat treatment capabilities. Our fully integrated production facilities provide our customers with a one- stop manufacturing facility so that we are able to offer top-line quality management and control and even more competitive pricing for our products because everything is done in-house. We now service and support a growing number of global customers, each whom have exacting demands and individual requirements for high quality products. This category includes audio and hi-fi products, LCD units including televisions, DVD players and heating and cooling devices. This is a very broad classification which includes telecommunications, computing, imaging and printing devices. Applications include such end-products as hand-phones, satellite radios, personal computers, handheld PDA’s, personal and commercial printers and calculators. An area of targeted growth for Superior Fastening that include micro motors, power tools, integrated motor systems, auto-lamps and automotive equipment.